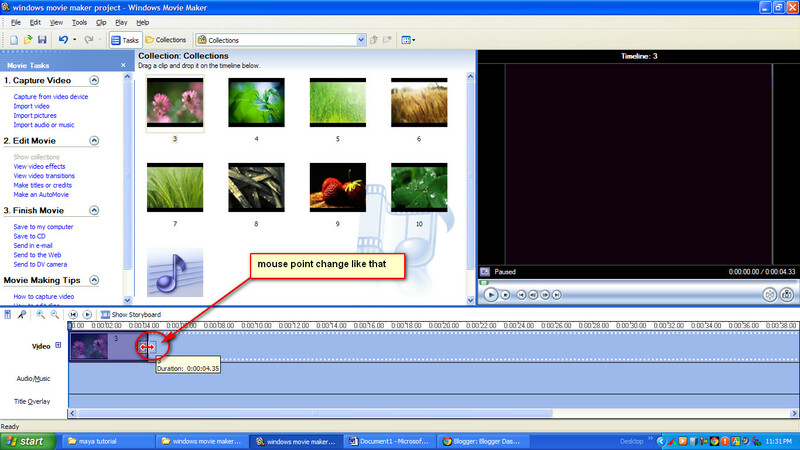 How you increase the image time duration in windows movie maker? If you want to show an image for a long or less time then you have to go for settings change. There is default time is 5sec you can reduce or increase it. First, you select the image. Drag the mouse pointer to the edge of the image. Your mouse point change into red color. Then drag your mouse left or right to reduce or increase time duration.